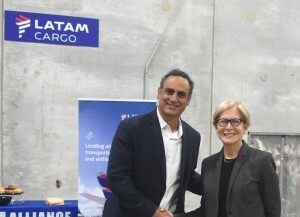 LATAM Cargo, the leader in cargo transportation to, from and within Latin America, has added a new destination to its network. Starting 20th of February, the new route will directly link Chicago to Campinas (Brazil), cutting transit time to less than 17 hours, with the possibility of connecting to Buenos Aires (Argentina) and Santiago (Chile). Before LATAM Cargo opened this route, it took more than 2 days to transport cargo from Chicago to Miami. Chicago is the company’s first new route of 2019, bringing more than 30 destinations operated by Boeing 767-300F with capacity to carry 50 tons. Also, considering both the cargo transported onboard freighters and passenger airplanes, Chicago becomes our seventh gateway to the United States, together with Miami, Orlando, New York, Boston, Los Angeles and Huntsville. The company operates more than 34 routes between the U.S. and Latin America and its global cargo network covers more than 140 destinations worldwide, with new potential routes being constantly evaluated. With two weekly frequencies (Wednesdays and Sundays) the Chicago-Campinas route will have the capacity to carry 100 tons per week, transporting different types of cargo that need to reach destinations across Latin America in a short time. “The Chicago-Campinas route will allow us to provide Premium cargo service to customers of the U.S. Midwest by cutting transit time between both cities from more than two days to less than 17 hours. Also, due to Chicago’s strategic location, we will provide great connectivity with Asia”, commented Gabriel Oliva, Commercial Director for North America, Europe and Asia. This route has sparked great interest from clients to transport many types of cargo with the different services and care options within LATAM Cargo’s extensive portfolio. “Many sectors will be benefited by this new route, which is confirmed by the interest the market has shown in being part of this new destination. Our clients trust us because of our experience and commitment with a service of the highest of standards, assuring the quality of their cargo at all times”, added Gabriel Oliva. This destination represents an added value given that, during the last three years, the transportation of pharmaceutical products has experienced a notorious increase for the company, showing a 52% growth in said period. “Transporting delicate cargo, as is the case of pharmaceuticals, requires special attention. For this reason, and in an effort to protect quality, we have access to temperature controlled storage facilities that may be expanded if needed”, Mr. Oliva added. Specifically, the 5,000 sq meter facilities will offer two temperature ranges, one between 2 and 8° C, and the other between 15 and 25° C.
This route will also be used for other dry cargo, using the different services and products included in LATAM Cargo’s varied portfolio. 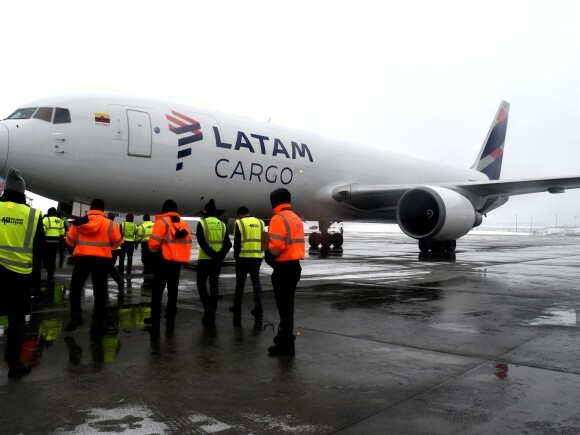 One day before, on 19 February, LATAM Cargo initiated the Santiago-Chicago direct route with two weekly frequencies, on Tuesdays and Saturdays. One of the main sectors favored by this route will be the aquaculture industry, particularly salmon, as it will expedite service by cutting down transit time (under 35 hours), improving temperature control and reducing cargo exposure. “Chicago is a key gateway in the United States and an ideal connecting point to Asia. Our new flights to and from the city provide our customers with access to key destinations and improved transit times. 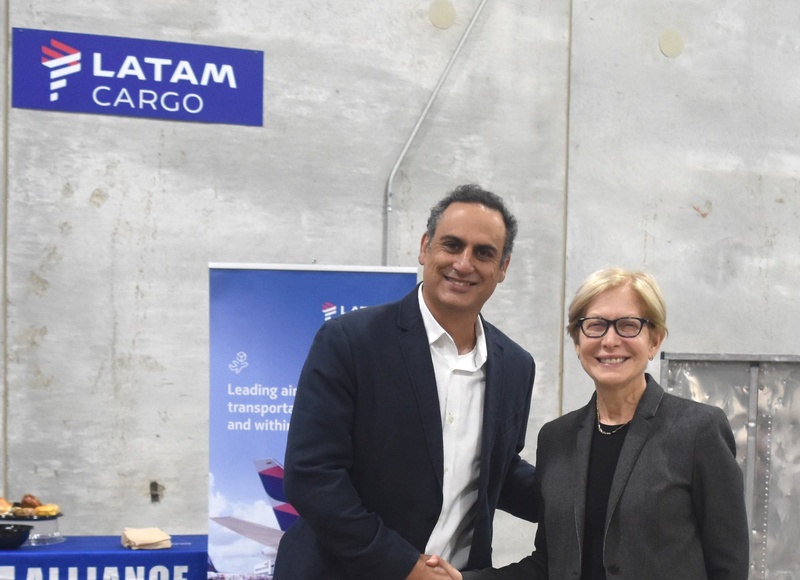 As the leading carrier in South America we are committed to improving connectivity between the region and the world while providing customers with more alternatives to reach their goals”, said Andrés Bianchi, CEO LATAM Cargo. Chile is the largest exporter of salmon in the region, with a steadily increasing demand from the Asian market in recent years. While in 2014 an average of 37 tons was transported between both markets each week, in 2018 this figure rose to approximately 700 tons per week on average.